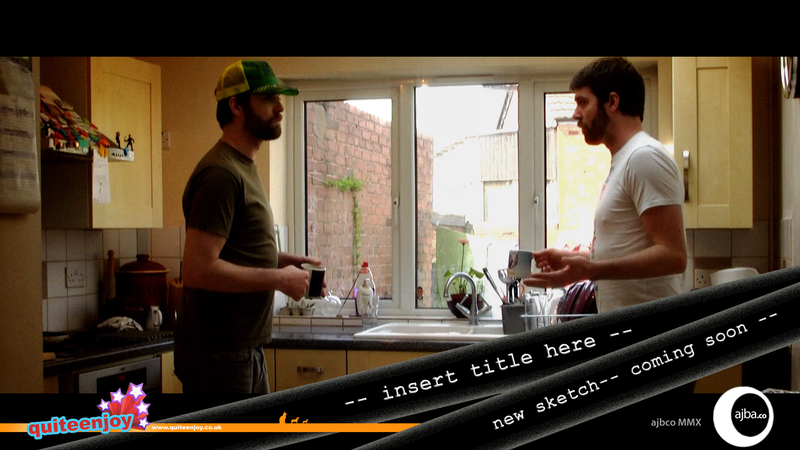 It’s been some time since we had a new “Insert title here” sketch to brag about but here’s one coming up for you. It will be the first of the longer sketches and as such is taking a little time to post-produce. It’s already been in the works for a few months but I thought it was a bout time to show a little screen shot and shower you in “coming soon” labels. Budgets being what they are you will see that we’ve had to use Andi for both parts in this one. Rest assured he was not paid twice…or even once.